Dubai: Emirates Airline said it is eyeing expansion in Iran, which it described as “a very important market”, saying it is interested in increasing its operations there. Shaikh Majid Al Mualla, divisional senior vice-president of commercial operations at Emirates, said the carrier is also interested in increasing its capacity to Saudi Arabia and India, both of which remain highly protected markets. In Iran, Emirates currently operates flights to Tehran and Mashhad, and the carrier said seat factors on both routes are high year-round, at more than 70 per cent, and goes to 90 per cent at peak seasons. “We are looking at opportunities there. Iran is not a small country; it’s huge, much like India. 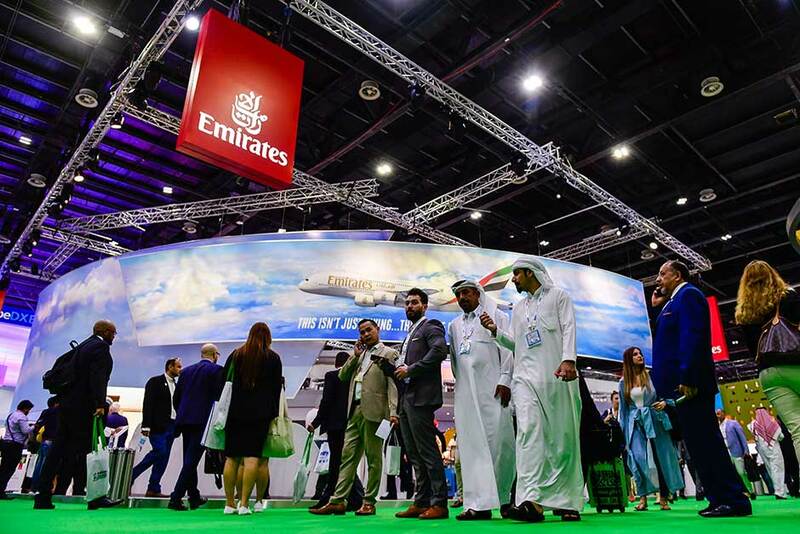 In India, we now cover nine points, so we need more flights there,” Al Mualla said on Monday at the Arabian Travel Market (ATM) exhibition. The removal of sanctions on Iran in 2016 opened doors for various industries to do business with the country and grow bilateral trade ties. Iran’s large population that is driving demand for consumer products also makes the country attractive to airlines. “We haven’t started dialogue (with Iran), but I’m sure when the time comes, it will happen. See, the problem is we’re limited with the aircraft as well. The aircraft is coming, but we already know in the next five years where our capacity is going to be,” Al Mualla said. In India, Emirates currently has a capacity of around 55,000-60,000 seats as India’s aviation market remains protected by its government that advocates local carriers. Authorities from the UAE and the Indian governments are involved in talks about boosting that capacity of UAE-based airlines into the subcontinent, given the strong demand for flights there. Emirates is expected to announce its financial results for the financial year ending March 2018 in the coming days, and while Al Mualla said he could not discuss performance, he said fuel prices were a challenge. Fuel accounted for 33 per cent of Emirates’ operating costs during the year, the vice-president said.